Gîte Saint Joachim for 2 to 4 people. Welcome to Clos du Petit Dannezy. This charming cottage in its enclosed park, with beautiful volumes completely renovated for 2 to 4 people, is ideally located in the heart of Cour-Cheverny and its local shops. The independent and equipped kitchen will ensure your autonomy. In the vast living room, you can relax in front of a fire or receive your friends. A space terrace and garden will prolong the pleasure of the summer evenings. Wifi, cot possible, pets allowed subject. The rental of sheets is 12 € / bed, the linen at 5 € / person for the stay. The cleaning fee at 30 €. The tourist tax for adults is 0.83 € / person / night. Wood for fire 20 € / measure. The amount of the deposit requested is 300 euros. 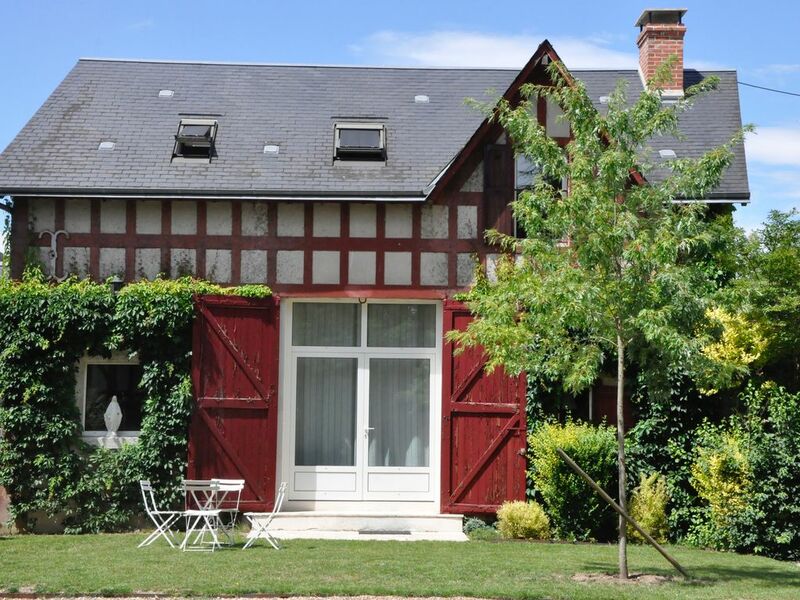 At the gates of Sologne, in the heart of the Loire Valley and the vineyards of Touraine, this cottage is the ideal starting point for tourist, cultural and gastronomic discoveries. Fishing, hunting and mushroom picking depending on the season. En option : La location des draps est de 12€ / lit, le linge de maison à 5€ / personne pour le séjour. Le forfait ménage à 30€. La taxe séjour pour les adultes est de 0,83€/personne /nuit.